The figure represented the number of confirmed deaths in two snake treatment centres - General Hospital, Kaltungo, Gombe State, and Zamko Comprehensive Medical Centre. More victims were confirmed to have died at herbal treatment centres within the period. "As at January, we had less than 200 vials left for the whole country. The report we get from the snakebite treatment centres is mind blogging, but there isn't much we can do," a hapless Mr Durfa told journalists in Jos recently. "Clearly, the nation is in trouble at this peak period of snakebite. The quantity in the store has proved too little to meet the demand. The situation is frightening. "Already, the snakebite treatment centre at the General Hospital, Kaltungo, receives an average of 16 cases a day. That centre received more than 3,086 cases last year. The situation is even worse at the Zamko medical centre," he said. "Everyone should be interested in assisting victims of snakebites because those affected are mostly the productive group - the farmers, miners, hunters, youths and herdsmen - responsible for our food, milk, meat and other critical areas of the economy," he posited. According to him, ASV comes in two forms - EchiTAB Plus ICP polyvalent, produced at the Instituto Clodomiro Picado, University of Costa Rica, which treats bites from all venomous snakes in Nigeria, and EchiTAB G, produced by Micropharm Ltd, United Kingdom, solely for carpet vipers, the commonest snakes in Nigeria. "Normally, we take the live snakes to Liverpool School of Tropical Medicine where they are killed and their venom extracted and sent to the manufacturing sites in Wales and Costa Rica. "Aside the transport, the weather is different; we must ensure that the snakes are kept in a regulated temperature similar to what they are used to, in Nigeria, so that they will not die. "If we produced at home, we shall ward off the heavy amounts paid in foreign exchange to technicians in the UK, because salaries are lower here," he said. Mr Durfa explained that local production of ASV would be "very easy" in Nigeria because the consultants had expressed their readiness to transfer the technology to the country. "The consultants are willing to transfer the technology and also train local personnel to handle the processes. Nigeria must take full advantage of this kindness," he stated. "Obasanjo approved a production cost of N2 billion and suggested that the money be sourced from the Millennium Development Goals (MDGs) fund; sadly, no money was made available for the project." Mr Durfa further explained that EchiTAB ASV, whose name is sourced from Echis ocellatus - the biological name for carpet viper - with TAB referring to Therapeutic Anti-Bodies, had three variants including EchiTAB G for carpet vipers responsible for 97 per cent cases of snake bites in Nigeria, and EchiTAB Plus for carpet viper, Puff Adder and Black Cobra venom. He traced the ASV's production to 1991, when Prof. Ransome Kuti, then health minister, sought the assistance of two UK Professors - David Warrel of Oxford University and David Theakston of Liverpool School of Tropical Medicine. "There was an acute shortage of ASV then, and the minister contacted the duo. "The production processes went through various levels of screening and 11 clinical purification trials before the drugs were certified and registered by NAFDAC. "The clinical trials were carried out in Kaltungo General Hospital, Gombe State, Zamko Comprehensive Health Centre, Langtang and Jos University Teaching Hospital," he recalled. "The best arrangement is the PPP because government policies are usually unstable. One government can start a project that its successor may discard. That will take us back to square one. "But if private hands are involved, continuity will be guaranteed," he argued. "It happens mostly to the rural dwellers who stabilise the economy by farming. We cannot abandon them to face the consequences of heeding government's call to return to the farm because that will not be good for the economy," he said. "The only time we can have enough ASV to meet our rising demand is when we produce it locally. That is the only time we can determine our fate. "The partners are ready and willing to transfer the technology for the production of the ASV, but Nigeria has not been forthcoming," he lamented. "No matter how pressed we are, we must wait for that period. The only way to make the drug readily available and cheap is to produce locally," he said. "The persistent shortage of ASV has reached a crisis level. Very often, we have had to watch helplessly, while patients gasp for breath. We cannot continue like this. "It is a critical situation but we are helpless. We want the government to treat the issue as an emergency and a necessity. Government should equate the necessity of ASV with having an army, customs, police and other security agencies. "The drug should be treated as a security issue. Every developing country should have its anti-snake venom manufacturing company. "The other option is to have a reliable supply channel, with government subsidising the cost to avoid a major crisis like the types we suffer very often in Nigeria; in truth, we find it difficult and embarrassing to explain such situations to our patients." "There are many victims of snakebites, but the ASV is always in short supply. "Government must act fast because traditional healers have taken advantage of the situation to extort monies from victims, with a promise to heal them. "What the herbalists are doing is trial and error. Most victims bleed in the brain because the venom is vicious. Traditional healers cannot tackle that because they concentrate on healing the wound," he explained. "Importing is very dangerous, especially in view of the rising cost of the dollar. We must look into the possibility of domesticating the production of the drug to avoid constant crisis," he said. Tim Golu, whose Pankshin/Kanam/Kanke constituency in Plateau, is heavily hit by the snakebite menace, says he is "very uncomfortable" with the constant paucity of the ASV, adding that the situation had cost many lives "in the past few weeks". "We have lost many people in the past few weeks. Right now, we have several cases in Kanke, my village," he said. "When government does that, it will give special attention to the menace and adopt measures to curb it. One of such measures will naturally include the local production of ASV. "If the federal government demonstrates the political will to establish an ASV producing outfit, the National Assembly will be compelled to see the need for a special vote for that special project," he stated. 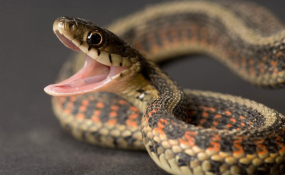 With the government paying more attention to the agricultural and mining sectors so as to diversify the economy, analysts say that Nigeria cannot afford to ignore a major menace associated with the two industries - rising prevalence of snake bites.